The chef deep-fries the chicken to perfectly crispy, slathers it in a spicy-sweet sauce, and incorporates it into dishes such as the Sando. 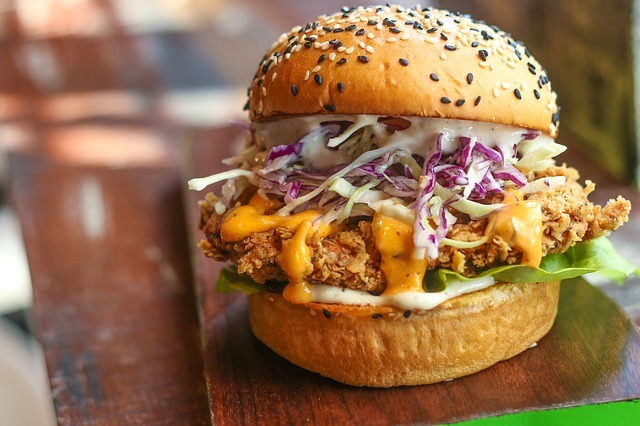 The Sando’s potato bun hugs fried chicken plus cider slaw, butter pickles, and house-made Comeback Sauce. The Chx & Waffles pairs the hot chicken with a golden-brown waffle, topped with maple syrup and honey butter. You can also enjoy the chicken in the form of wings or tenders, or take home a meal big enough to feed the entire family.